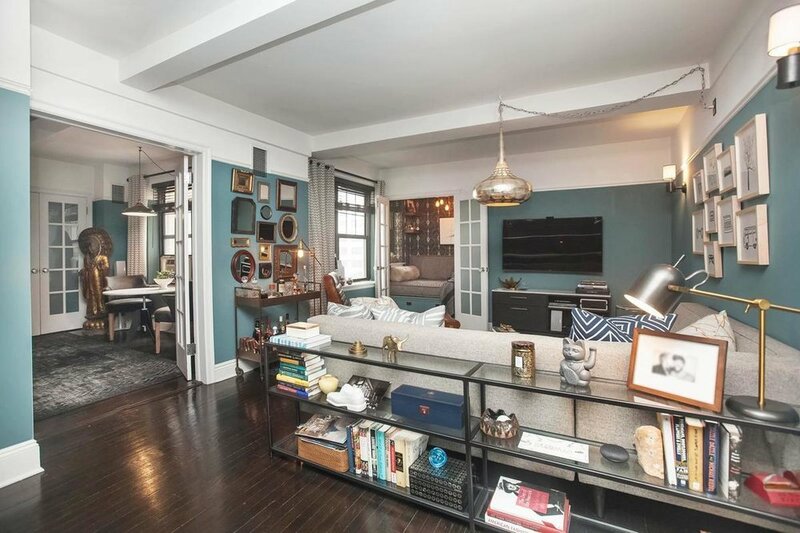 “Modern Family” star Jesse Tyler Ferguson is unloading his one-bedroom co-op in Gramercy Park for $1.5 million, just over three years after buying it. 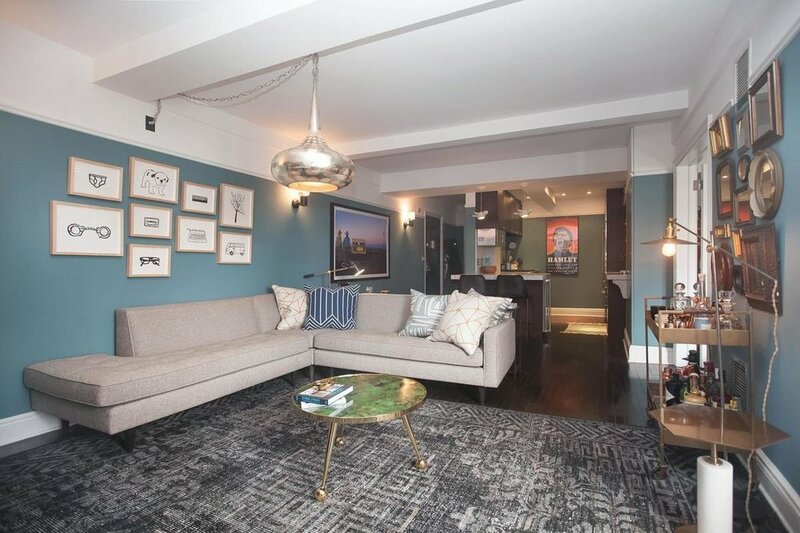 The actor and his husband, Justin Mikita, picked up the pad, which has been gut-renovated, in 2015 for just over $1.23 million. 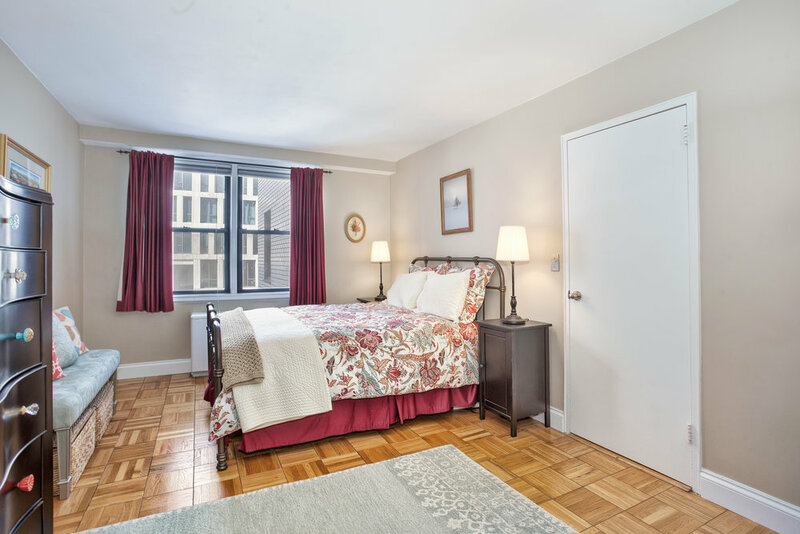 The home at 200 East 16th Street is a combination of two studio units, and there’s an option to buy the apartment fully furnished. The renovation added a pop of color with calming blue walls found throughout the apartment, which helped modernize the space. The kitchen features Carrara marble counters, a Viking stove and Subzero fridge. There’s also a wine fridge and hidden pantry closet. Situated next to the kitchen, the living room boasts beamed ceilings and a private, custom-built reading nook. 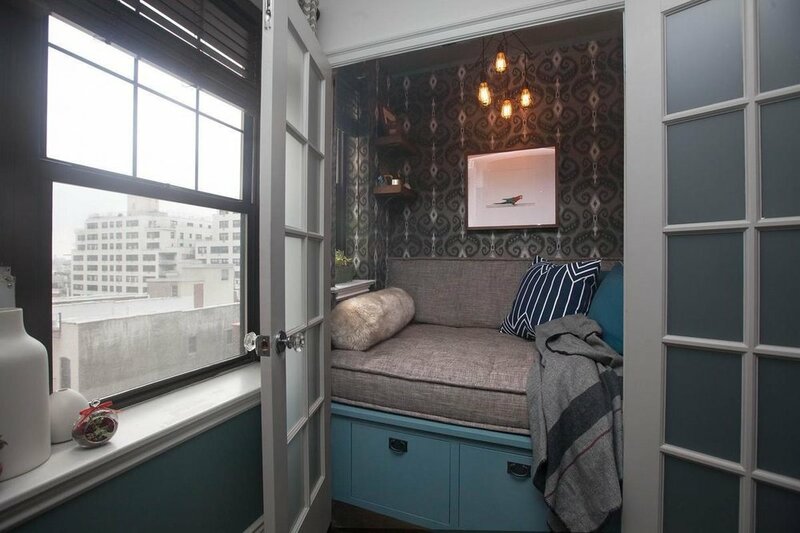 The nook includes built-in storage and beautiful French doors. The bedroom is quite spacious, with enough room for large pieces of furniture, including a king bed. Plus, the room has three large closets, practically unheard of in most city dwellings. Perfect for two, the master bedroom features double marble vanities and plenty of storage. The second guest bathroom has custom lighting and an impressive arched entryway. Amenities of the co-op include a 24-hour doorman, live-in super, gym with Peloton bike, laundry room and storage for bikes. Found on a tree-lined block in Gramercy Park, the building is located just steps away from Whole Foods, Trader Joe’s and all of Union Square. Don't miss this bright and oversized one-bedroom apartment offering a spacious layout, thoughtful updates and ample storage space, all located in one of Gramercy's most sought-after buildings. This home's open layout, which is lit by large west and south-facing windows in every room, lends a sense of airy spaciousness throughout. The great room stretches nearly 30 feet from the entry to the sunny windows, providing ample room for living and dining areas, and lending great access to the nearby kitchen. 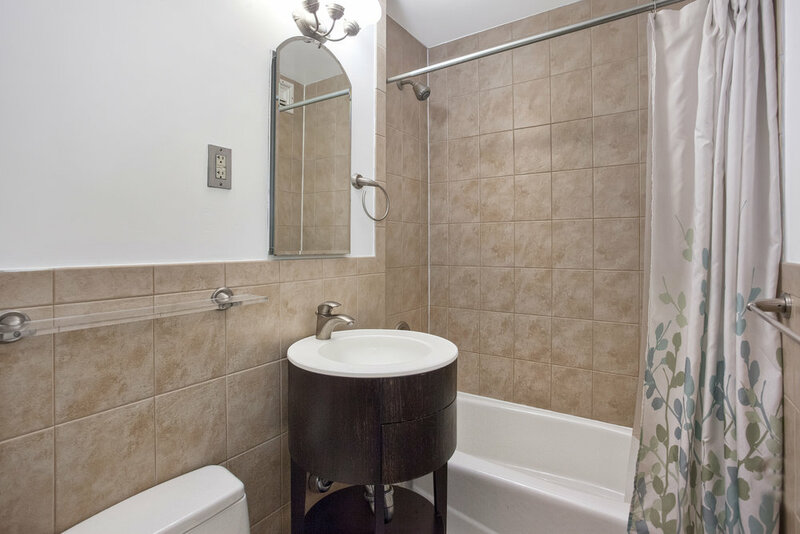 The renovated bathroom features updated tile and vanity while the 11-foot by 17-foot master bedroom provides plenty of space for a king bed and additional furniture. The abundant closet space is not to be missed with four large closets throughout, all extra deep to maximize storage. The Quaker Ridge is known for its stellar financials and low maintenance, not to mentions its prime location, close to Gramercy Park. The co-op includes a full-time doorman, live-in superintendent, new laundry facilities, bike storage and a residents-only parking garage with direct access to the building. The building allows co-purchasing and pets, but does not permit guarantors or pied--terres. Most tiny New York apartments are terrifying. But in the right hands, they can be turned into something amazing. That’s the case for this Park Avenue South condo, which is owned by interior designer Amir Khamneipur and which he listed today for $1.775 million. The apartment has one bedroom, one and a half bathrooms, 14-foot ceilings, 10-foot doors and custom, double-height cabinetry. Everything in the space was custom-designed by Khamneipur, and listing agent Claudia Saez-Fromm of Town Residential tellsLLNYC that a buyer may be able to negotiate with Khamneipur to include the furniture with the sale. Saez-Fromm says Khamneipur decided to sell because he received interest in the apartment after the “House, Beautiful” piece and he wants to upgrade to a two-bedroom. Two Manhattan townhomes occupied by nuns sold for $18.8 million in a deal that closed Wednesday, Mansion Global has learned. The Greek Revival-style townhomes, located at 236 and 238 East 15th St. in Gramercy, were built in 1850. The Missionary Sisters of the Immaculate Heart of Mary acquired the property in the early 1940s, according to listing agent Lisa Kobiolke of Compass. The townhomes were later combined to create one 52-foot-wide mansion with 18,720 square feet of living space. There are a total of 20 bedrooms and 20 bathrooms. The property includes a garden. By the 1960s, the sisterhood’s ranks had dwindled, and it began renting rooms to young women and other congregations, as reported by the New York Times. By June, only one sister lived there, and so the order put the property up for sale. It listed at $19.75 million about two months ago. The buyer intends to live in one of the townhomes with her family and transform the other into student housing to generate income, according to Ms. Kobiolke. The homes were originally occupied by Lewis L. Squires, a local ship chandler, and Mahlon Day, a printer and seller of children’s books, before they were acquired by the sisterhood. Some of the proceeds of the sale will pay for the sisters’ relocation to the Bronx, while the remainder will be donated to missions around the world, according to Ms. Kobiolke.